Fangirl Review: DARK HORSE TO RELEASE “RG VEDA”! DARK HORSE TO RELEASE “RG VEDA”! CLAMP’s epic professional debut! 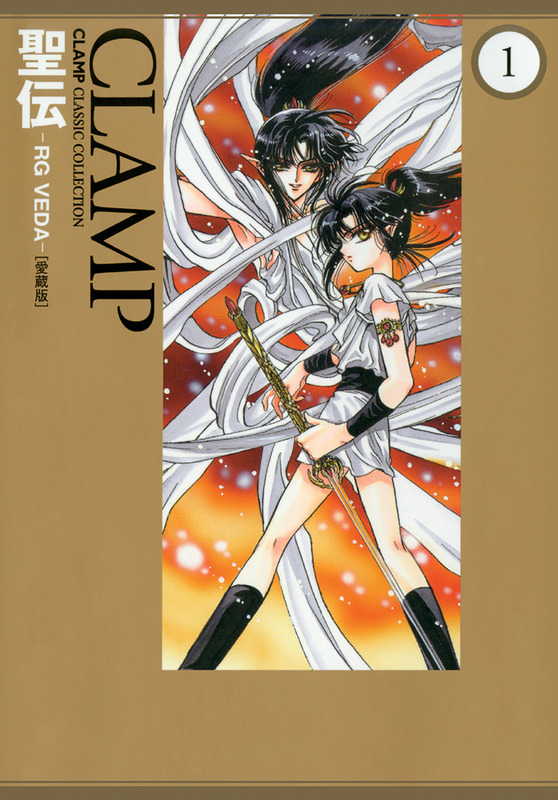 The breakout manga that put CLAMP on the map will be released by Dark Horse in summer 2016. With over 600 pages, this is the first book in a three-volume omnibus edition that collects the entire RG Vedastory with full-color pages, high-quality paper, and a larger print format. RG Veda (pronounced “Rig Veda”) is based on a classic Indian saga. The lush, sprawling epic follows Yasha, once a mighty warrior king but now the lord of a slaughtered people he could not save. Yasha journeys the land as the companion and protector of the genderless Ashura, although he knows Ashura’s fate is interwoven with doom for many. Together they seek the other four of the “Six Stars,” whose prophesied gathering will at last defeat Taishakuten, the evil usurper of heaven’s throne. But all prophecies are open to interpretation . . .